With its compact habit and prolific flowering, this variety will show well in accent, border and mass plantings. Over the last couple of decades, rudbeckia has been one of the most recognizable and widely grown perennials. Since the Perennial Plant Association selected rudbeckia ‘Goldsturm’ as the Plant of the Year in 1999, ‘Goldsturm’ has been the standard of excellence in the rudbeckia family. Although a few Rudbeckia fulgida cultivars have been introduced since then, none of them have proved superior to ‘Goldsturm’. That is until Jelitto introduced ‘Little Goldstar’ in 2011. ‘Little Goldstar’ is an ultra compact Black-eyed Susan that reaches a very attractive 14 to 16 inches in height and width, making it a great contender for container production as well as for use in sunny landscapes. In the mid summer, it sets an abundance of 2- to 21/2-inch flowers with long, slender golden petals around prominent dark brown cones held on strong stems above its compact dark green foliage. 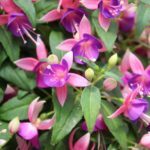 Although the flower size is slightly smaller than previous cultivars, there are markedly more blooms per plant, resulting in an extra refined look in the landscape. It performs well across a wide portion of the United States, throughout USDA Hardiness Zones 4 to 10. Rudbeckia prefers full sun, although in the South it performs best when some partial shade is provided. 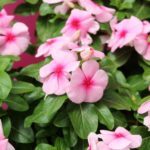 ‘Little Goldstar’ is easy to grow, less susceptible to diseases and is not fazed by heat and humidity. Black-eyed Susan attracts butterflies into gardens during the summer months and songbirds in the autumn. With its compact habit and prolific flowering, ‘Little Goldstar’ is an excellent choice for accent, border, or mass plantings. 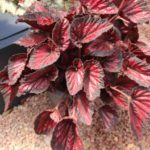 It makes a great container plant and can also be used as a cut flower. Rudbeckia ‘Little Goldstar’ is a superb, all-around perennial that has many appealing characteristics, and with its ease of production would be a great candidate for later summer perennial programs. Rudbeckia ‘Little Goldstar’ is vegetatively propagated by means of tissue culture by licensed propagators. It is a patented cultivar (PP22397); propagation without permission of the applicant is illegal. Rudbeckia can be potted in the spring or during the late summer of the year prior to the intended market date. Planting black-eyed Susans in the late summer allows them to bulk up, increases plant vigor, produces more flowers per plant, and results in earlier and more uniform flowering. ‘Little Goldstar’ is well suited for production in 2-quart to 1-gallon containers. It performs best in well-drained growing mixes. 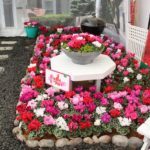 When transplanting, the liners should be planted so the original soil line of the plug is even with the surface of the growing medium of the new container. Rudbeckia performs best when grown with moderate fertility levels. Growers using water soluble fertilizers either apply 200- to 300-ppm nitrogen as needed or feed with a constant liquid fertilization program using rates of 100- to 125-ppm nitrogen with every irrigation. Controlled-release fertilizers can be applied as a top-dress onto the media surface using the medium labeled rate, or incorporated into the growing mix prior to planting at a rate equivalent to 1.0 to 1.25 pounds of elemental nitrogen per yard of growing medium. During production, the pH of the media should be maintained between 6.0 to 6.5. New plantings of rudbeckia require average amounts of irrigation. Water them as needed when the plants are young and becoming established. It is best to keep them uniformly moist, but not consistently wet. When irrigation is needed, water thoroughly and allow the medium to dry slightly between waterings. Once the plants are large and developing flowers, they will require more frequent irrigations because they will dry out rather quickly. Although, ‘Little Goldstar’ is slightly more compact than most of the other cultivars in production today, growers may still find it beneficial to tone the plants with plant growth regulator applications during production. Providing adequate spacing between the plants will reduce plant stretch caused by competition. I recommend growers make spray applications using the tank mixture of 2,000-ppm daminozide (B-Nine or Dazide) plus 3-ppm uniconazole (Concise or Sumagic). To obtain the most height reduction, begin applying PGRs when the flower stalks are just beginning to elongate or bolt. Although rudbeckia can be produced relatively insect free, aphids and whiteflies are commonly observed feeding on them. Other insect pests growers may observe on Black-eyed Susans include caterpillars, four-lined plant bugs, grasshoppers, Japanese beetles, leafhoppers, mealybugs, spider mites, slugs, spittlebugs and thrips. All of these pests can be detected with routine crop monitoring; control strategies might not be necessary unless the scouting activities indicate actions should be taken. Septoria leaf spot is the primary disease observed on Black-eyed Susan. Other pathogens that may be observed on rudbeckia include Botrytis, Cercospora, downy mildew, powdery mildew, Phytopthora, Pseudomonas, Pythium and Rhizoctonia. ‘Little Goldstar’ appears to be less susceptible to Septoria and other pathogens; growers have observed an increase in the amount of time for infections to occur, as well as less disease severity compared with other cultivars grown side by side. Growers can detect the presence of insects and diseases using routine scouting programs and determine if and when control strategies are necessary. However, many growers do implement preventative spray programs to prevent Septoria from occurring; fungicides effective at controlling this disease include products containing chlorothalonil, fludioxonil, iprodione, and pyraclostrobin + boscalid. It is particularly important to rotate the chemical families of the fungicides being applied to prevent resistance to these chemistries. With ‘Little Goldstar’ originating from tissue culture, growers do not have to deal with juvenility that occurs with cultivars of rudbeckia, which are propagated by seed. 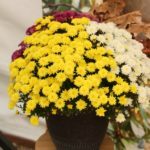 For this reason, ‘Little Goldstar’ can be spring planted to produce flowering plants during the same growing season or grown as a traditional perennial and planted in the late summer or early fall and overwintered in the final container. Although rudbeckia does not require a cold treatment for flowering, they are cold-beneficial plants and will flower slightly faster following a cold treatment. When overwintering or vernalizing large liners or containers of ‘Little Goldstar’, it is recommended to provide approximately 10 weeks of temperatures below 40° F.
Black-eyed Susans are obligate long-day plants, absolutely requiring long days for them to flower. It is recommended to provide at least 14 hour photoperiods or night interruption lighting when the natural day lengths are less than 14 hours. After the onset of long days, the time to flower is a function of temperature and light intensity. Rudbeckia flowers best when it is grown in areas with high light intensities (greater than 3,000 footcandles); production with lower light intensities results in less blooms per plant and a longer time to flower. For fastest flowering, it is best to grow them with warm production temperatures. 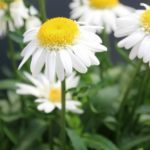 ‘Little Goldstar’ takes 12 to 13 weeks to flower from the onset of long days (14 hours or greater) when they are grown at 68° F; cooler temperatures will result in long production times. Rudbeckia fulgida ‘Little Goldstar’ was introduced by Jelitto Perennial Seeds in 2011. Licensed propagations of this cultivar include Pioneer Gardens (www. pioneergardens.com), Skagit Gardens (www.skagitgardens.com), Walters Gardens, Inc. (www.waltersgardens.com), and through and many plant brokers.